While direct mail best practices tend to stand the test of time, they aren’t carved in stone. Today, I’d like to take some time to revisit one of my more popular blogs from a few years back, titled “Maximize Value with These Effective Direct Mail Techniques,” and see what has changed, what hasn’t, and what’s working in the mailbox. THEN: Use a non-traditional size, don’t over-sell, and give your mailpiece a unique feel. NOW: What was true then is also true now—with a few additions. It’s a core aspect of direct mail design: Things that are different stand out. In a mailbox, that means weight, shape, color, and texture of the envelope. That much hasn’t changed—although you can add to the list unique die-cuts, stickers, labels, handwritten fonts, and even scent. However, there is less of a need for blind envelopes that give away very little of what’s inside. Compelling headlines, personalized content, and incentives can be the push some consumers need to open the envelope. But one of the very best ways to get an envelope opened is to send the right offer to the right person at the right time by choosing effective marketing lists. Targeting your audience helps ensure that only those who are interested in what you are selling are receiving your mail, making it much more likely that they’ll open it to learn more. THEN: Don’t look at the drop date, look at the in-home date… and look for that in-home date to be near the end of week. NOW: Continue to look at the in-home date, but don’t forget to test. A 2016 study by the USPS found that a majority of people retrieve and sort mail at their first opportunity, meaning that fewer and fewer people are waiting until the weekend to go through their mail from the week. Because of this, the in-home date is more important than ever. A study done in the UK says that in-home dates between Tuesday and Thursday are most appealing because it skips the “Monday blues” and targets consumers on days when they’re more likely to be home in the evening. However, relying on larger trends will only get you so far—testing is a sure-fire way to find out when your target audience is most likely to receive and seriously think about your offer. THEN: Look at response, accountability, and big data. NOW: While what I said back in 2013 is still true in 2018, it now falls into the much broader bucket of testing. The only way to know if a mailpiece is effective is to collect data and analyze it. A robust testing program will tell you if your mailpiece is performing as effectively as possible. In addition, testing allows you to tweak and improve a campaign without starting from square one, and will give you the greatest return on marketing investment (ROMI) in the long run. It will tell you what works and what doesn’t as well as for whom and how long. Testing and creating attribution models will help you get a better picture of what your mailing efforts are doing for your response metrics. THEN: Start by adjusting the envelope by simplifying the look, changing the color and/or paper stock, or adding a window that highlights an expiration date or intriguing headline. NOW: The envelope is still the best place to start, but it’s just that: a starting point. A direct mail testing strategy will help your response rates reach their full potential. While it’s true that the envelope is still one of the easiest and most cost-effective ways to reinvigorate a mailing and increase response (and may be the first thing tested), it should still be part of a larger strategy. Implementing a more comprehensive testing strategy will give you a solid road map to follow in finding which tweaks will have the biggest impact on your ROMI. 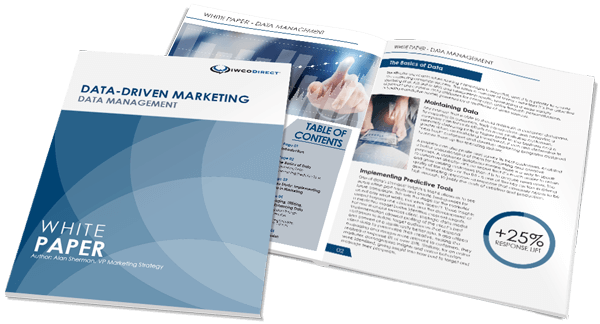 Not surprisingly, many of the changes you see between 2013’s best direct mail techniques and 2018’s revolve around the amount of data, testing, and overall strategy employed. As data become more robust and tools continue to grow in precision, delivering true one-to-one marketing has become more attainable than ever. Developing a thoughtful plan and strategy for how you mail has become just as important as what you mail. For help on either—or both—contact me today.